Throughout the early episodes of The Flash‘s fifth season, the team has been desperately trying to track down the metahuman serial killer, Cicada. Last week’s episode gave Cicada an origin and exposed his secret identity: Orlin Dwyer. 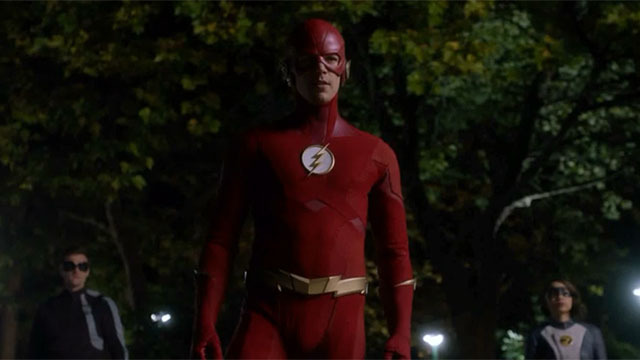 In The Flash season 5 episode 8, Nora proposed a new plan to stop Cicada and sidestep his power-draining dagger. 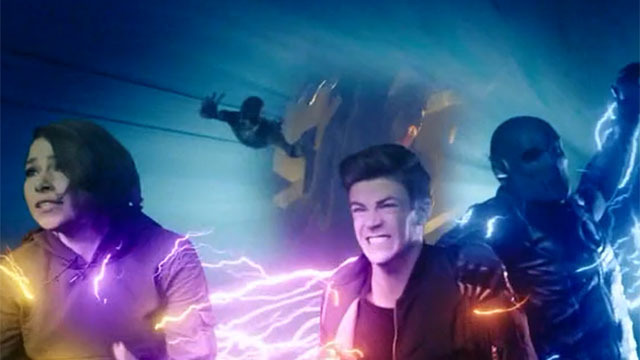 She suggested that they go back in time and collect what they need from the Flash’s previous battles. Barry was reluctant to take his daughter with him on the mission, but he ultimately relented. However, Sherloque became suspicious of Nora’s suggestion and stole her journal. He then attempted to decipher her code. The first stop was to steal a piece of Savitar’s armor from Barry’s final battle with his alternate self. Nora witnessed her mother, Iris, shoot Savitar while Barry evaded a Time Wraith. Unfortunately, their second stop was more complicated. After watching Zoom steal Barry’s speed, the speedsters couldn’t find the device he used. Nora then overheard a moving moment between her parents in the wake of Barry’s loss. Meanwhile, Barry encountered Harry from Earth-2, and narrowly stopped him from destroying Zoom’s device. Seconds later, Zoom reappeared, and he chased Barry and Nora into the time stream. A Time Wraith took out Zoom, but their device was broken. Nora suggested going to Eobard Thawne for help, and Barry very reluctantly agreed. Traveling back to Barry’s first year as the Flash, Barry and Nora met Thawne when he was still using Harrison Wells’ face. Thawne deduced that Nora was Barry’s daughter, but he initially called her “Dawn.” Note: that’s the name of Barry’s daughter in the comics. Thawne was distressed by their presence, and the implication that he wouldn’t get home. Barry managed to get Thawne’s aid, but Nora and Thawne shared a strange interaction. 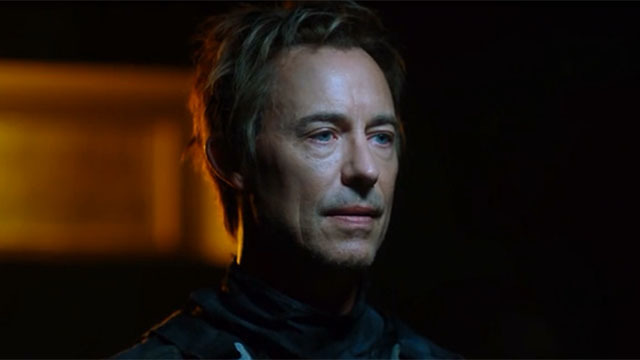 On the night of the original Particle Accelerator explosion, Barry told Nora that Thawne killed his mother. 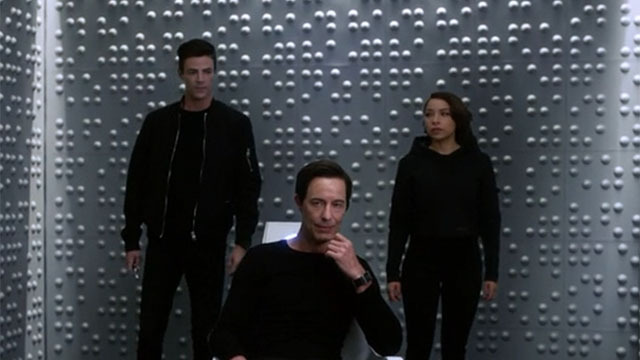 Thawne even seemed to sense their presence, before returning to the lab. The explosion occurred as expected, and it completed their anti-Cicada weapon. 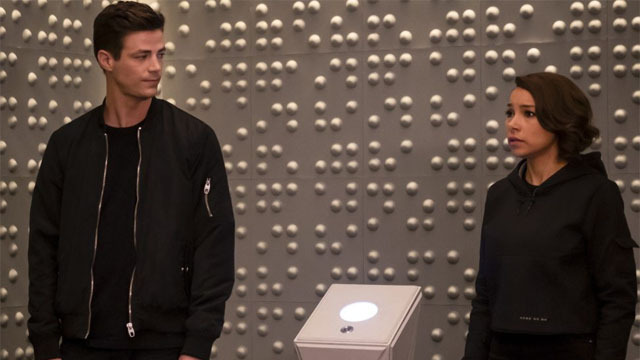 Nora and Barry then hid the device before returning to the future. Team Flash surrounded Cicada outside the hospital, and they even had the upper hand when their device worked. Yet somehow, the world’s fastest man and his daughter weren’t able to slap the cuffs on Cicada before he could summon his dagger from space. Suddenly, Cicada was moments away from killing Barry before Killer Frost emerged and saved his life. Cicada fled, and Team Flash realized that Killer Frost was immune to his dagger. Later, Nora realized her journal was missing and she found it with Sherloque. He returned it to her, but not before he translated part of a passage that confirmed the timeline can be changed. Nora briefly went to the past to see her grandparents, Henry and Nora Allen before Thawne ruined their lives. Barry joined her there, and they shared a moment before going back to the future. Later, Nora entered Gideon’s chamber and sent a transmission to the future. Then she easily traveled to the year 2049, where she personally delivered a message to a prisoner: Thawne. Somehow, Nora and Thawne have been working together all along. What did you think about The Flash season 5 episode 8? Let us know in the comment section below!